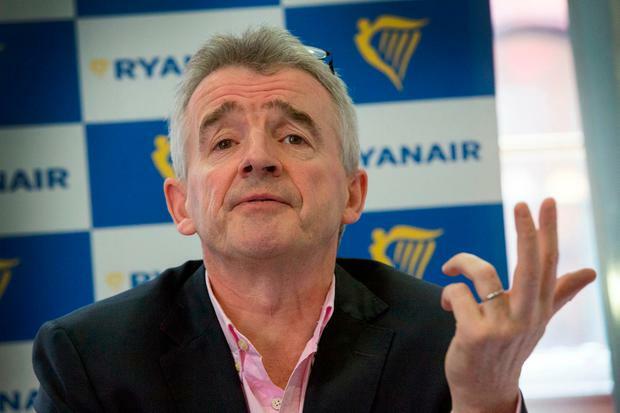 Ryanair chief Michael O'Leary has dismissed climate change concerns as "complete and utter rubbish". Speaking to RTÉ Radio One's Countrywide programme, Mr O'Leary said he believes that people's fears about global warming are unfounded. He dismissed climate change as "complete and utter rubbish". “This kind of nonsense that we all need to cut back on beef production or that we all need to eat vegetables or go vegan and all start cycling bicycles is not the way forward. I think it’s complete and utter rubbish," he said. Mr O'Leary expressed his desire to see nuclear fuel being considered as a viable future energy source. "If you're concerned about these issues, the obvious one is more nuclear fuel, but you ask the likes of Mary Robinson, the climate change justice mob, and they recoil in horror because it's not trendy or liberal." Mr O'Leary, who owns 1,000ac of farmland in Gigginstown, Co Westmeath, said he doesn't believe that beef consumption and carbon emissions are the primary driving forces of climate change. The Ryanair boss said he believes "human ingenuity will find ways of improving the way we breed beef and they way we consume fuel". When asked if accepted that climate change is happening, Mr O'Leary said that the cooling and warming had been "going on for years" and he didn't accept it was linked to carbon usage. "I don't accept that climate change is real. I don't accept the link between carbon consumption and climate change."